A man who is in Chicago to participate in the Special Olympics has gone missing in Streeterville, police said. Haque Rezwanul, 22, who has autism and cannot speak English, was last seen in the 100 block of East Delaware around 5 p.m. on Thursday, according to a missing person bulletin. 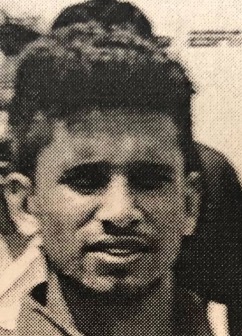 Rezwanul was last seen wearing a blue hat with “USA” on the front, a blue polo shirt with “Bangladesh” written in red lettering on the back, black pants, and white gym shoes. He was also carrying a light grey and red backpack. He is 5’8” tall, weighs 160 pounds, and has brown eyes and black hair. Anyone with information about Rezwanul’s whereabouts is asked to call Area Central Special Victim's Unit (312) 747-8380.